researchers say this is the best experimental evidence yet that the Sun influences the climate by altering the intensity of the cosmic-ray flux reaching the Earth’s surface. Quite spectacular claims! So let’s see what is the source of this information. The basis for the statements was a recent paper published in GRL by Enghoff et al. The key points in the paper are stated as: (a) Cosmic rays increase nucleation rate, (b) A particle beam is not needed, for experiments, and (c) Ions are important for atmospheric nucleation rate. But where is the link to real clouds? NOTE: The authors of the book are following this post. If you have questions on this broad topic, ask them! In the big, wide-ranging world of global change effects, one would be hard pressed to find a topic that is more important–or of more interest to more people–than effects on human health. And in science, one can sometimes also be pressed to find books that smoothly integrate technical knowledge with the experiences and needs of human beings. So, when you have someone with a lifetime of hands-on experience and academic training in international environmental health, describing the actual and potential impacts of global changes on the health of individuals, societies, and ecosystems, then you have something well worth paying attention to. 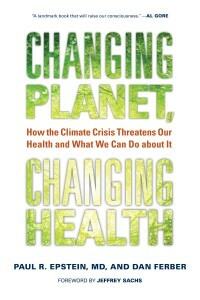 This is certainly the case with Changing Planet, Changing Health, a new book from the University of California Press, authored by Paul Epstein and Dan Ferber, physician and writer, respectively. Written for a general audience, it deals with a number of current, and potential future, effects of global change—with an emphasis on climate change–on various health-related issues. 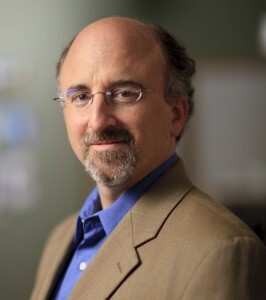 Senior author Paul Epstein has a strongly holistic/synthetic health perspective. Accordingly, the book is very wide ranging topically, covering issues from the discovery of the puzzling roots of cholera’s epidemiology, to the effects of large storms on the behavior of the insurance industry, to the social disruptions arising from hurricanes and warfare, to the roots of the problems with the global economic system–and much in between. The book does an outstanding job of connecting many otherwise disparate issues. These topics are all described in simple prose–there are no mathematics or model expositions, few acronyms and little jargon, etc. For these and other reasons, this book is an important and accessible contribution that many will want to read, and which many others really should. Many of the discussions depict scenarios that are already happening, or could happen in the future, not necessarily what is likely to happen. That is, they provide examples of some possible effects, not an exhaustive attribution-oriented discussion of cause and effect, nor a model-based attempt to weigh future likelihoods of occurrence. The book is structured around chapters which integrate a particular climate change element’s effect on one or more health issues, often involving a personal story of some type. These situations include, for example, the discovery of the changing epidemiology of malaria in East Africa, crop disease and insect attacks in the United States, and the plights of the poor in Honduras. This synthetic viewpoint stands in contrast to the narrower, reductionist perspective which permeates much of current medical science (or perhaps science in general). Accordingly, there is a short synopsis of the systems theory perspective in biology that was a central concept of the seminal work of Ludwig von Bertalanffy in the mid-20th century. It is also not surprising that the book extends the human health theme to the broader topic of system health in several places. In fact, two of the 13 chapters specifically address ecosystem stability issues, using disruptions of marine and forest ecosystems as examples, topics which may or may not have obvious ties to human health issues. Relatedly, the book returns at several points to the general concept of cumulative effects. 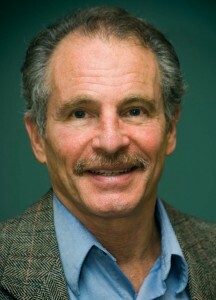 This first appears in a discussion of how ecologist Richard Levins of the Harvard School of Public Health influenced Epstein’s thinking on public health. It shows up later in discussions of the similar ways that plant and human pathogens’ virulence depend on the base health state of their hosts. This leads directly into a discussion of the spread of soybean rust throughout the world in the late 20th century, with its potential to greatly reduce yields and hence affect human food supplies. The idea returns yet later in discussions of the ongoing, multiple health stresses experienced by the rural poor in Honduras, making them less able to handle the effects of any additional stresses, such as those resulting from environmental disasters like Hurricane Mitch in 1998. This latter case speaks more generally to the susceptibility of the poor in general. There are also discussions of potential surprises. For example, they describe the unexpectedly high amounts of beetle herbivory in soybeans in response to elevated atmospheric carbon dioxide, as evidenced by FACE experiments. Another example discusses ragweed pollen, a very important hay fever and asthma allergen. They describe research showing that the quantity of ragweed pollen produced in doubled CO2 environments is increased significantly (61 percent), not because of large increases in size (~ 10 percent) but rather (apparently) due to a changing internal allocation of resources. Life history characteristics of the genus might reasonably predict this result, and there are many factors in the real world that could alter it. 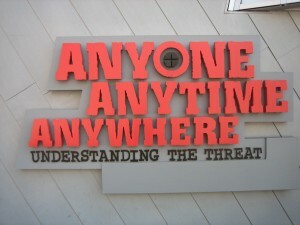 But it still serves as a useful example that could otherwise fly completely under the radar. While the use of ecosystem complexity to illustrate the potential for surprises is certainly valid, it can also be a double edged sword. There will very likely be surprises that have unexpectedly positive results as well, and the overall balance between positive and negative is highly uncertain. My (Jim) one criticism is that I would like to have seen this this point made, with reference to experimental or model results. The plant ecology and/or agriculture discussions would have been a good place to do so, given the complexities/uncertainties involved. The authors’ strongest points are arguably those dealing directly with well-defined and direct human health concerns having demonstrated relationships with well understood climate dynamics. Several important points of the book relate to biological thresholds. These are ubiquitous in biology at all scales and are illustrated nicely in several places; a particularly good example is the effect of temperature changes on malarial epidemiology. Malaria is caused by species of single-celled parasites in the genus Plasmodium, vectored by mosquitoes primarily in the genera Aedes and Anopheles between many vertebrate hosts, including humans. Debilitating to lethal in effects, the disease also comprises a fascinating scientific story. This includes for example, the effects of weather/climate on the population dynamics of rapidly reproducing, cold-blooded organisms, and the epidemiology of disease spread (and interesting textbook cases in genetics and evolution as well). Epstein and Ferber describe how small changes in temperature can lead to large changes in malarial dynamics. This is a function of both insect and parasite life cycle development time–both of which are typically non-linear. These in turn have non-linear effects on malarial epidemiology, via changing spatial patterns of temperature and precipitation combined with the spatial pattern of human populations and the genetic resistance to malaria therein. So, full Plasmodium falciparum development that takes 56 days at 18 degrees C, but only 19 days at 22 degrees, has very significant implications for a mosquito host that lives only 3 weeks maximum: it allows the full development of malarial parasites which are not possible at the lower temperature. The insect population dynamic also matters, which in an aquatic breeder like mosquitoes, will be a function of both temperature and the existence of water reservoirs having a 3+ week lifetime, which in turn are a function of precipitation intensity and frequency. Insect population threshold effects are also discussed in a later chapter devoted to the topic of tree mortality and bark beetle dynamics in western North America. The forest that really should not be missed for the trees here, is the importance of these non-linear dynamics in response to climate change. Considering that many biophysical systems are webs that are considerably more complex than the examples provided, it takes little imagination to realize the potentially high levels of unpredictability that are quickly reached. And this should give any reasonable person–and society–concern about the consequences of forcing the climate into a state that is without precedent in modern society. Science is difficult enough when equilibrium states are the study focus, let alone when strongly forced and thus, transient. Environmental health also includes non-biological stressors, such as environmental chemicals, food, water and air quality, social upheavals, etc. Epstein and Ferber address these broader issues as well. For example, one chapter is devoted entirely to air quality/composition and its effects on a wide ranging and chronic disease, asthma. They also recognize that global change is not just climatic. They describe, for example, the multiple causes of health effects in places like Honduras, resulting from the combined effects of mangrove clearing and shrimp farming, gold mining, El-Nino changes, and hurricanes, each contributing its part to an unhealthy and unsustainable condition. The book is also not shy about engaging controversial topics or discussing the disinformation campaign. 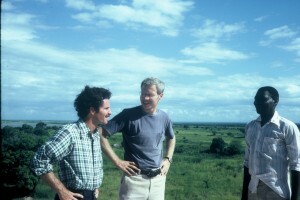 For example, Kenyan malarial epidemiologist Andrew Githeko was targeted a decade ago after his model-based predictions of the spread of malaria into the highlands of East Africa, where it is currently expanding but was historically absent due to the temperature limitations that altitude brings. Several of the tactics of denial that are well known to RC readers, are discussed. Nor are the authors afraid to discuss issues in the socio-political world that drive many of the human behaviors that are leading to climate change as well as the unequal suffering that will be experienced due to inequalities in wealth. And neither are they reluctant to address the multiple social and environmental costs of fossil fuels, such as coal. Once trained in making connections across disciplines, well, the habit tends to express itself. In the discussions of climate per se, there are a few minor inaccuracies in an otherwise sound discussion of what is known. However, none of these has any bearing on the bigger picture portrayed. For instance, the book discusses the (essentially non-existent) effect of El Nino Southern Oscillation on the Gulf stream; it is possible that the authors actually had the ocean currents off the Peruvian and Equatorial coasts in mind. There is also a misconception in the book’s introduction about the strength of a greenhouse and the thickness of the glass panes, but this does not translate to the greenhouse effect. This is, however, noted later in the book, so the inconsistency is just a glitch. The book also asserts that global warming will lead to more storms, which is still a disputed issue. The situation regarding glaciers on Mt. Kenya is probably more complicated than just a question about temperature – changes in precipitation pattern will also affect their mass balance. The authors are critical towards certain multinational corporations, discussing for example the role of ‘economic hit men’ (e.g. John Perkins). And although the book covers many topics, it does not discuss population growth, and it touches on communication issues only lightly in discussing why the world has so far failed to act on climate change. This is somewhat ironic, given that the book is one of the best examples we have yet seen regarding the effective communication of climate change issues. It suffices to mention “Climategate”, “Wikileaks”, and social networks (in recent developments in Northern Africa) to understand the power of information/disinformation and communication, in molding public opinion. The book also mentions Norway as a shining example regarding the tackling of climate change, but the world is more nuanced; Norway also pushed for more oil drilling in the Arctic, and is involved in tar sands in Canada, as well as oil exploration in Libya. Also, much of the surplus that Norway gains from pumping oil is invested into the same kinds of corporations as those Epstein and Ferber describe as part of the problem. But there is much more to be learned from the book than just the various technical issues discussed. Just as important is the very evident concern with human welfare and justice; these have clearly motivated a very large part of Epstein’s life work, as well as several of those discussed in the book. One particularly good example is the rather amazing story of the Honduran doctor Juan Almendares and his lifelong dedication to the welfare of rural and/or marginalized people there. The importance of this human aspect in solving the impending global climate change problem is most certainly not to be overlooked, and it in fact forms a kind of subliminal undercurrent upon which the various technical discussions in the book all ride. Paul Epstein and Dan Ferber have created in this book an outstanding synthesis of climate change and human/environmental health concerns. It is born of a lifetime’s work, and addresses topics that will potentially affect a very large number of people. This is a great and needed contribution and we recommend it without reservation. Seed topics: The genealogy of climate models, how to compare different greenhouse gases, whether a 2 deg C temperature target makes sense (Stoat has already weighed in), or reflections on the Nenana Ice classic (which has just concluded for this year). But you decide. It would not surprise me if the denialists would deny the existence of the new book by Haydn Washington and John Cook (skepticalscience.com) ‘Climate Change Denial: Heads in the Sand‘. Somehow, I don’t think they will read it – but they are not target group of this book either. Anyway, denialism is, according to the book, a common human trait – we should all know somebody who deny one thing thing or another. Furthermore, denial is not the same as being skeptical, either, and Washington and Cook argue it is quite the opposite. Hence, the term “skeptics” for these deniers can be described as Orwellian “doublespeak”“newspeak”. Denial is apparently caused by our lizard brainstem. What coincidence then, when talking about fossil fuels from plants from the era of huge long dead lizards (the fossil fuels are not made of the dinosaurs), that denying evidence for anthropogenic global warming (AGW) is linked to that lizard part of the brain. So, what about using the labels ‘reptiles’ or ‘dinos’? Washington and Cook opt for ‘deniers’, and so will I hereafter.